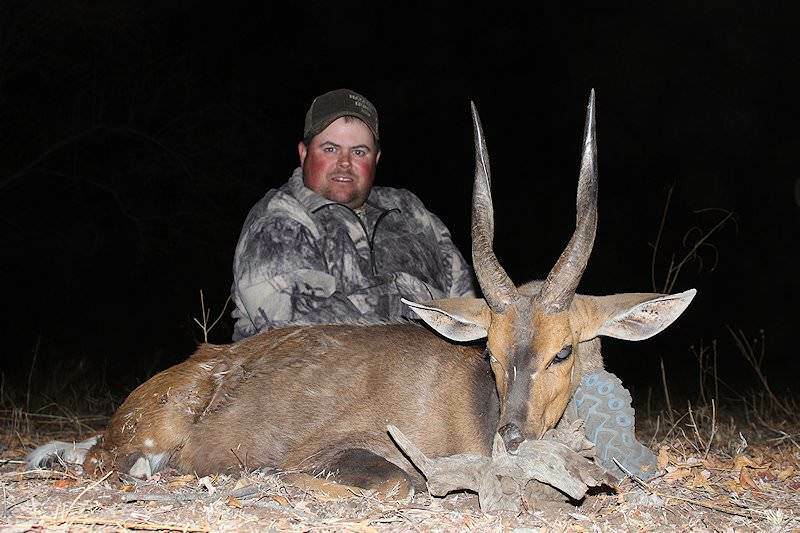 Bushbuck are among the more elusive plains game that can be hunted in South Africa. 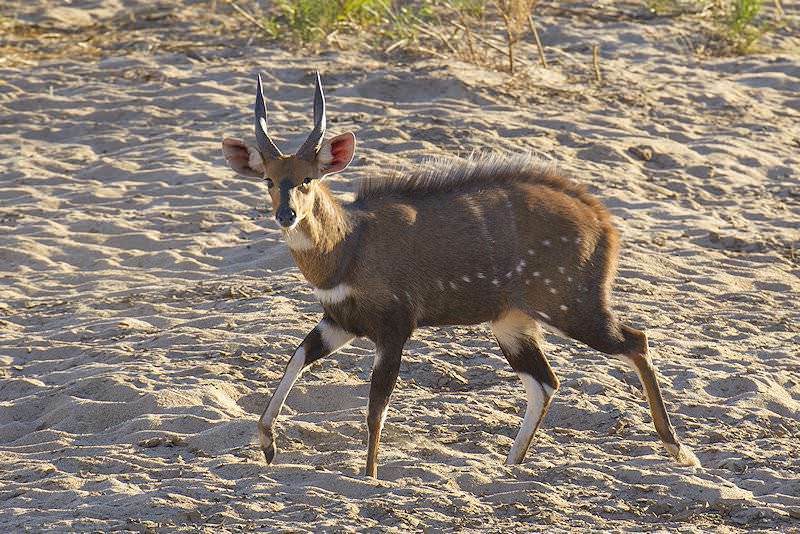 The bushbuck is the smallest member of the spiral-horned antelope. 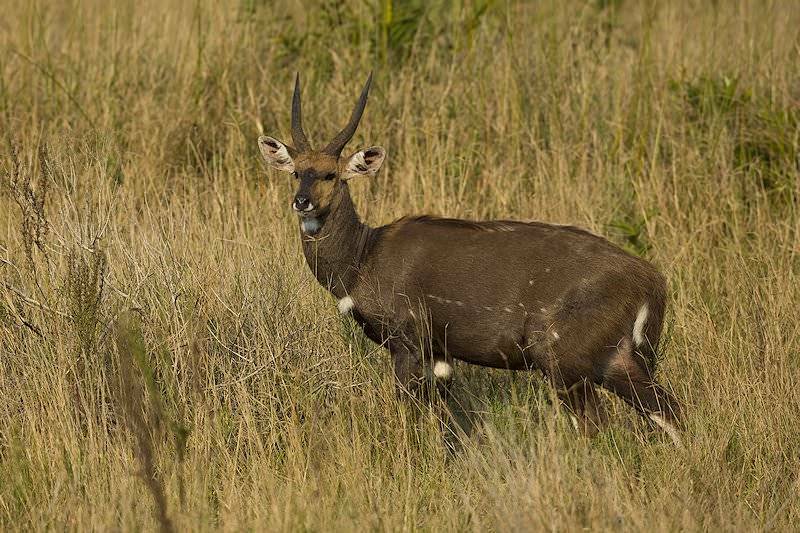 He is medium-sized and dark reddish-brown with white spots on the rump, against the legs, at the base of the neck, and just below the throat. 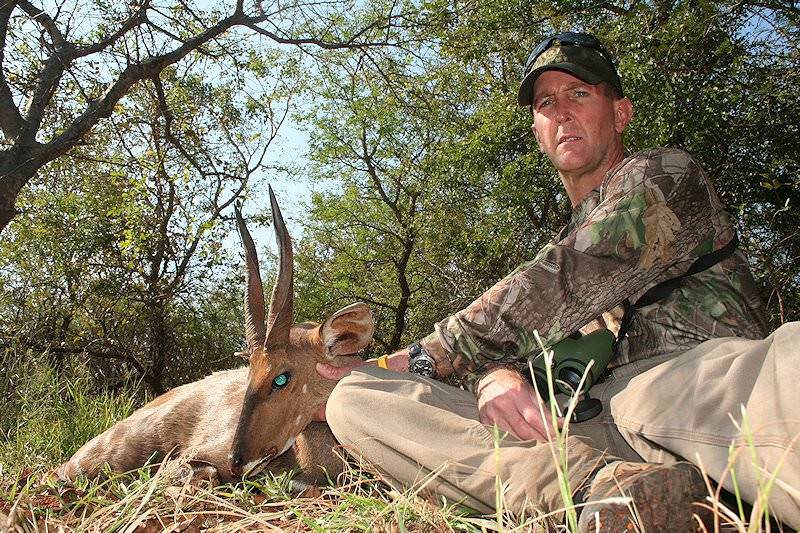 Hunting the bushbuck can be a real challenge, as he is shy and extremely elusive. 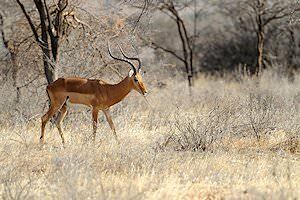 For the most part solitary, he prefers riverine forest and dense thickets always near a water source, as he must drink on a daily basis. 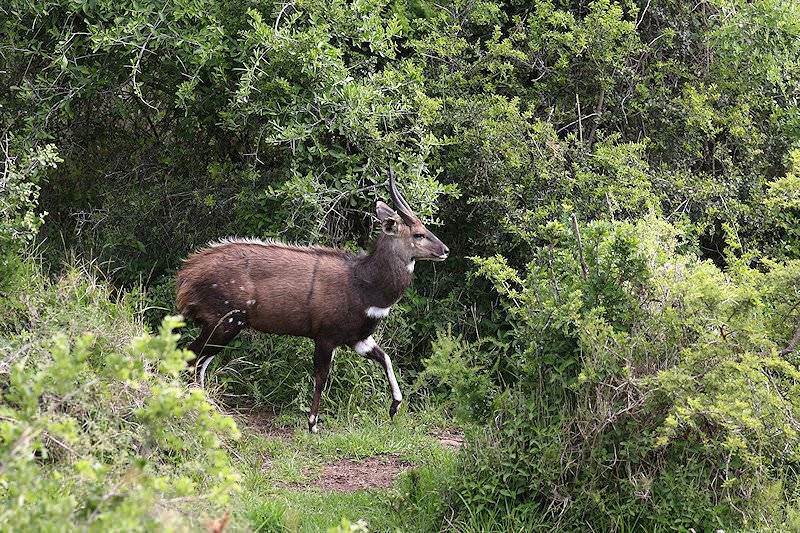 Primarily a browser, he feeds during the night or early morning and late afternoon on leaves, grass, branches, flowers and fruit. 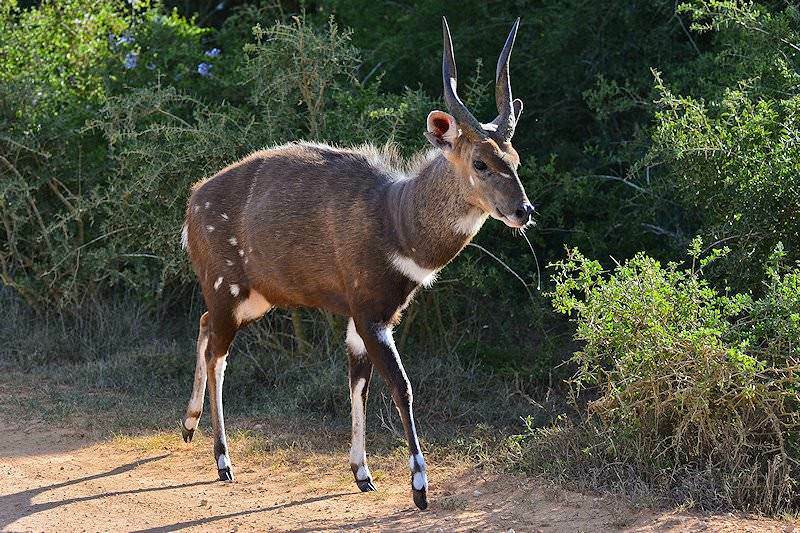 Weighing in at between 80 to 140 pounds, only the males carry horns and mature bucks are considerably larger and usually darker in color than the female of the species. 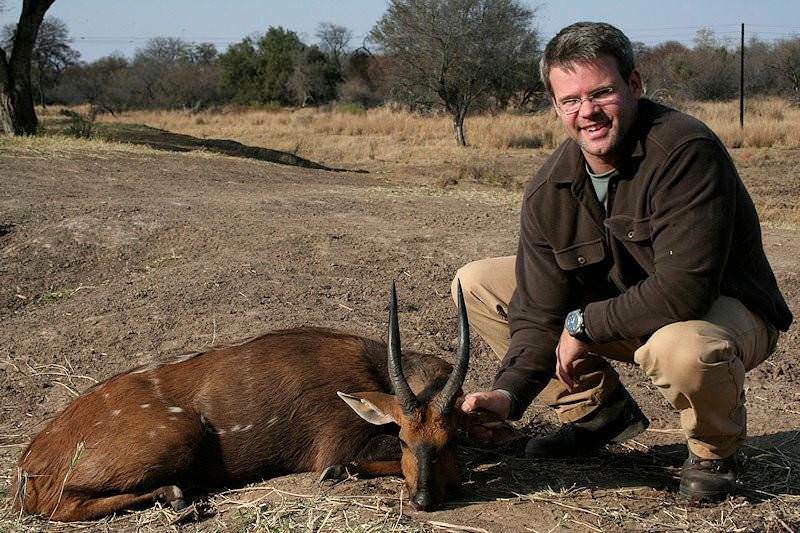 When spooked, his alarm signal is a loud, hoarse, dog-like bark. 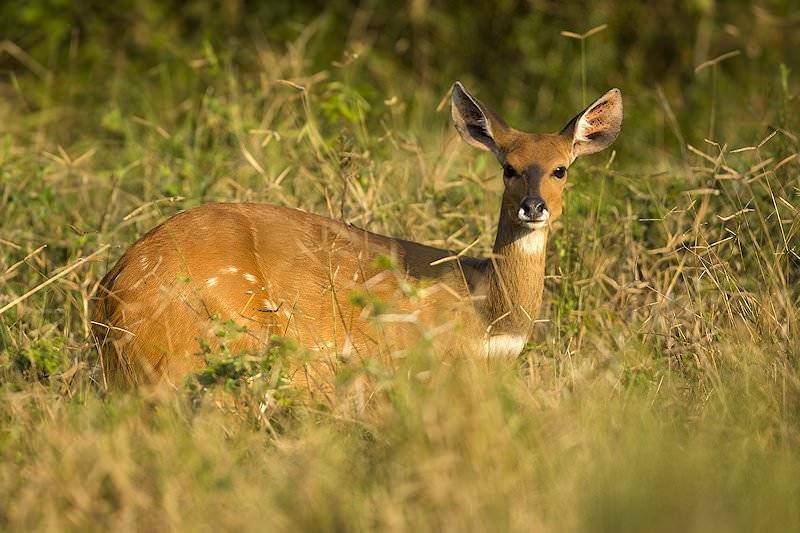 Hunting bushbuck can be very similar to hunting the American white-tailed deer; still-hunting can be very productive, or one might try moving quietly through the bush, probing the dense cover, always being cognizant of the wind direction. 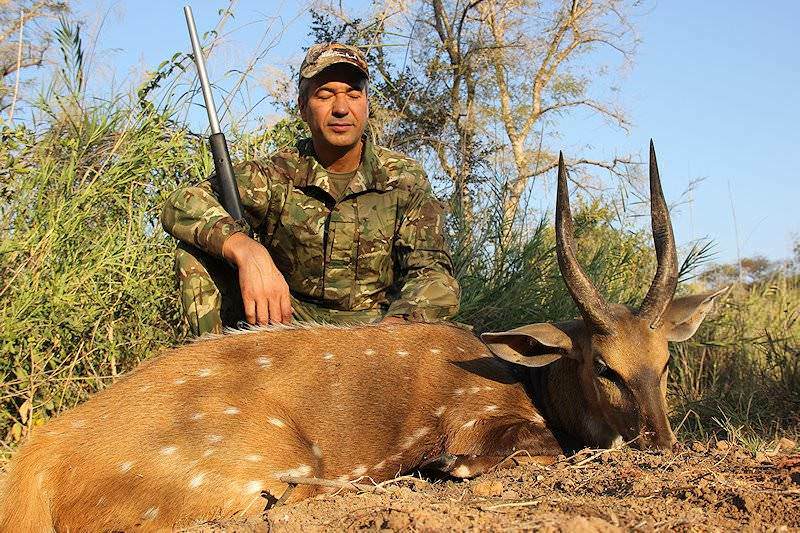 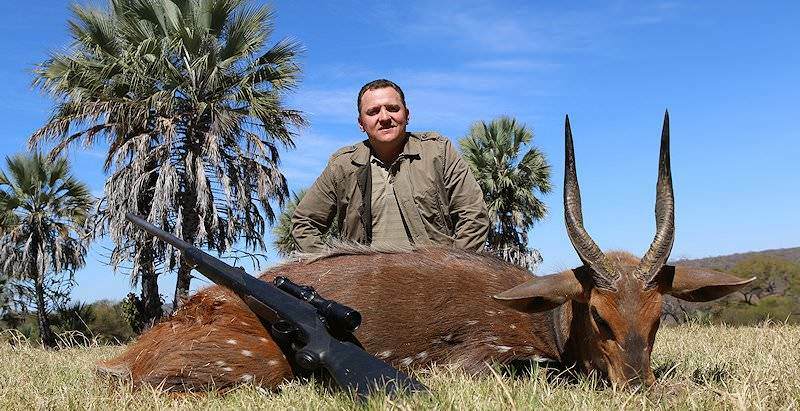 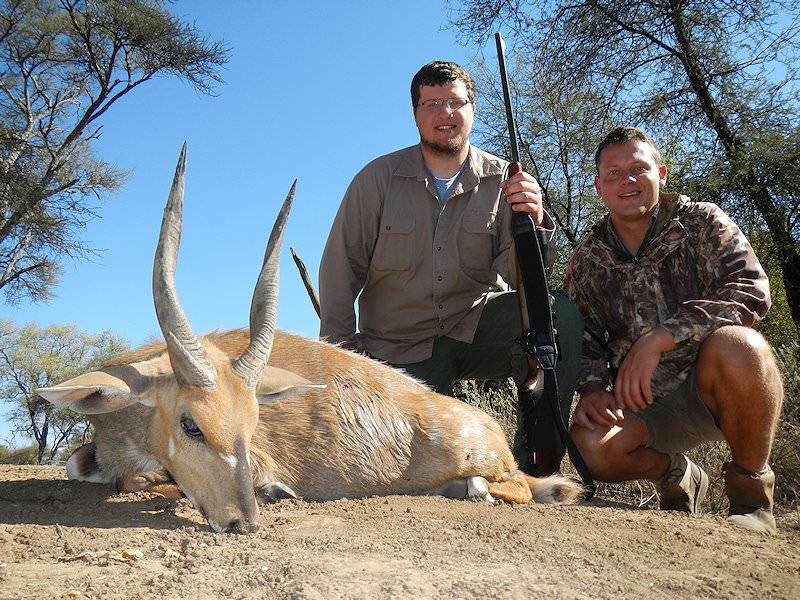 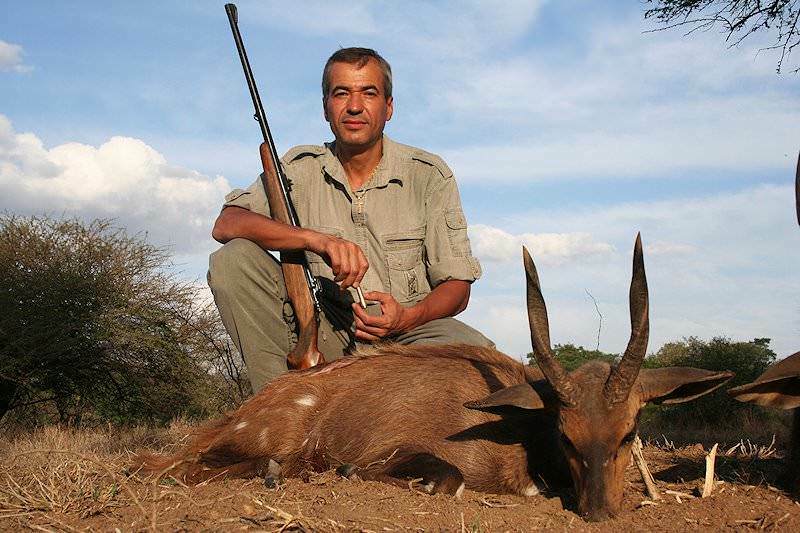 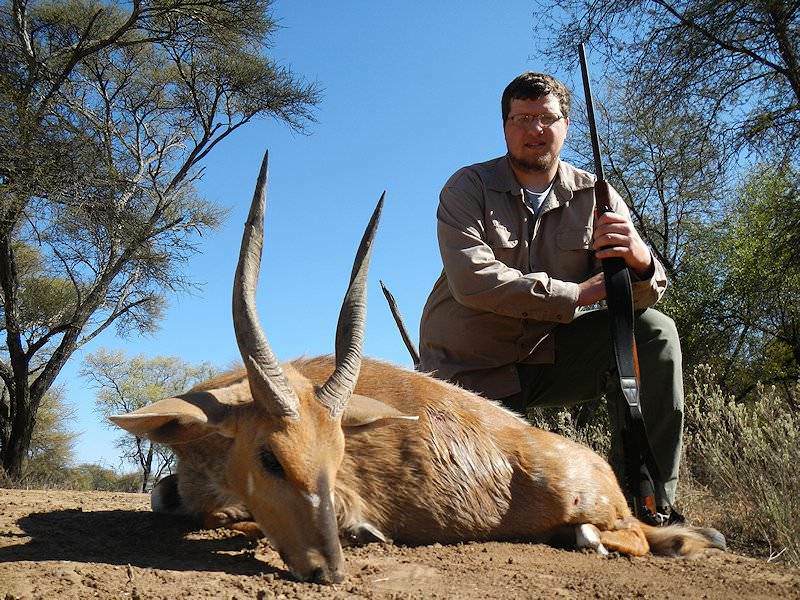 Hunt the bushbuck with the 7x57mm, or a 30 caliber rifle with suitable 160 to 180 grain bullets. 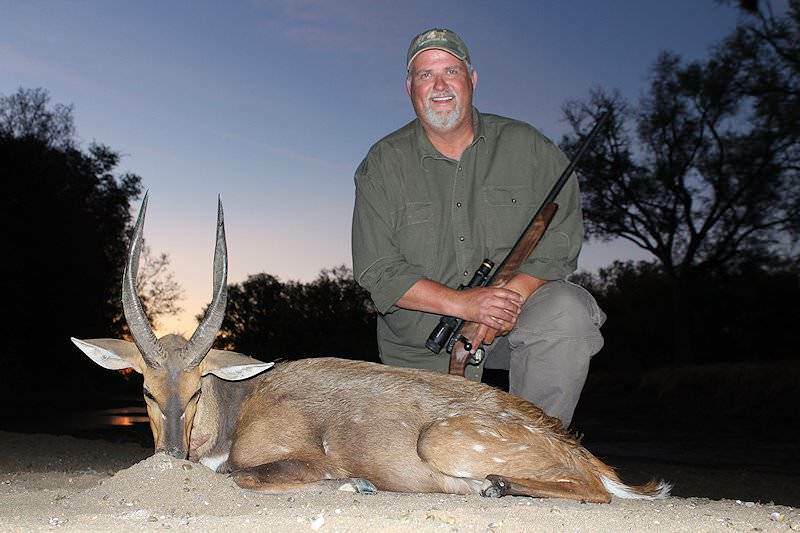 Even those round nosed 220 grainer's may be in order here, as you will probably be shooting through thick cover. 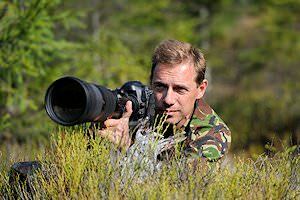 Shot placement is extremely important; from any angle, place your shot so as to penetrate and pass through the chest cavity. 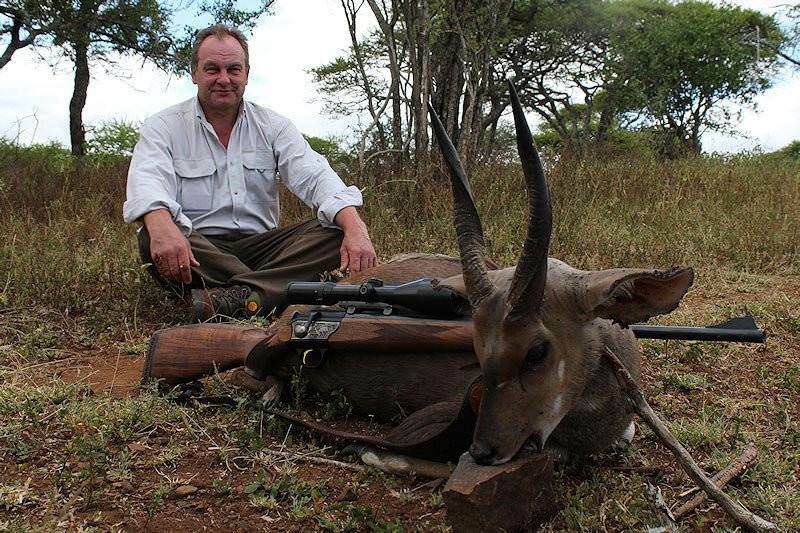 You do not want to wound this little guy as, for his size, he can be extremely dangerous. 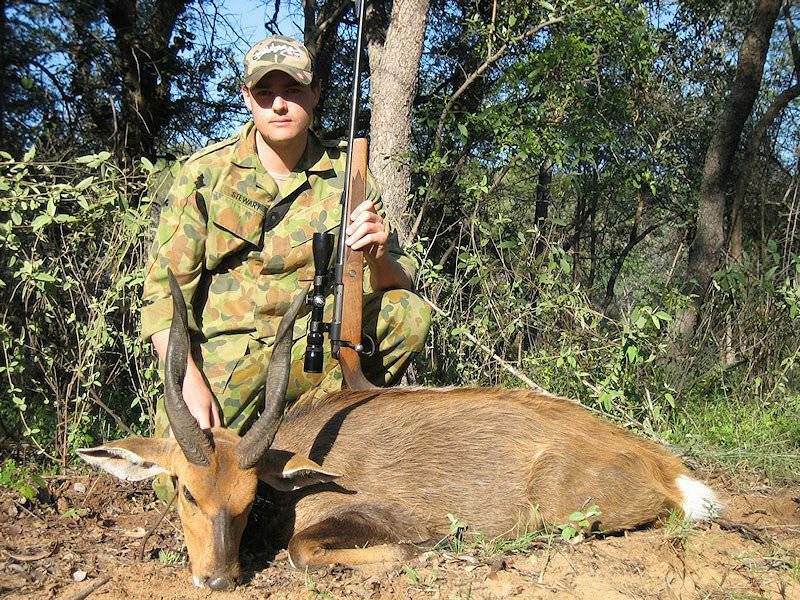 A wounded or cornered bushbuck is apt to be very aggressive and will not hesitate to charge. 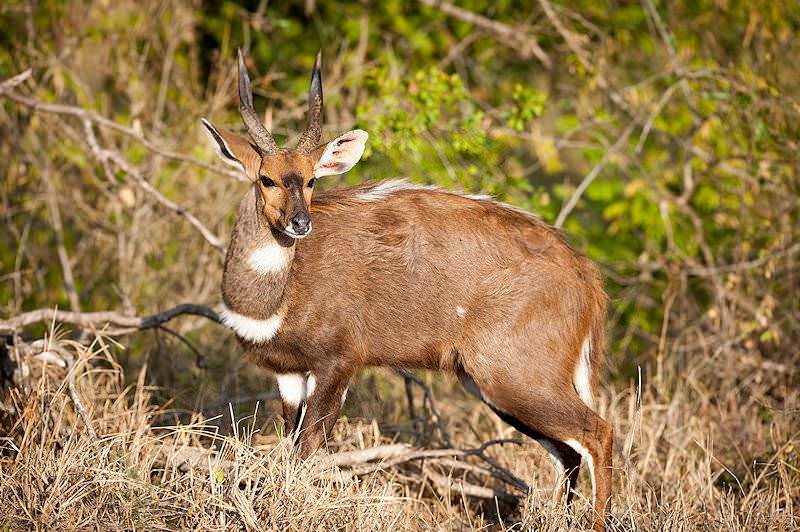 If your wounded bushbuck escapes to dense cover, which he will certainly try to do, be very cautious in your pursuit; allow ample time for your bullet to do its work and if possible send "Jack Russell" into the bush to find him. 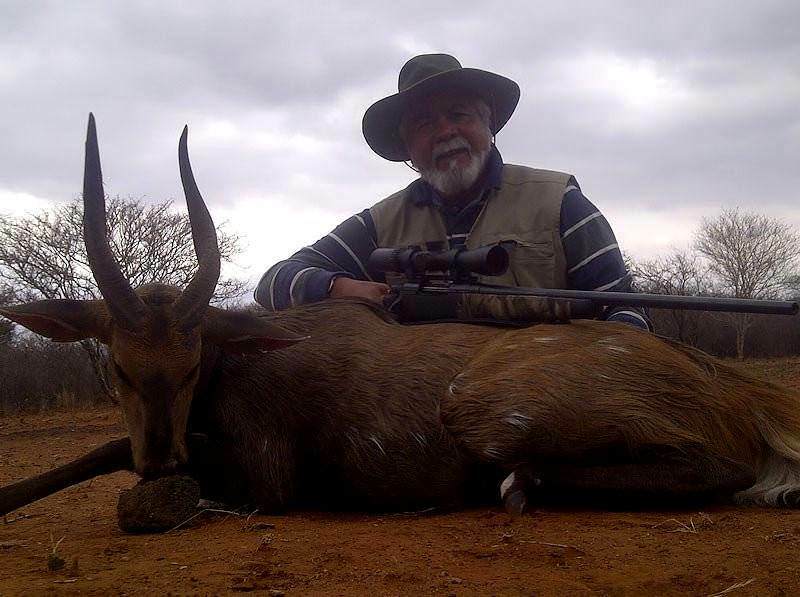 Experience three distinct hunting areas in South Africa over three weeks of unforgettable plains game pursuits. 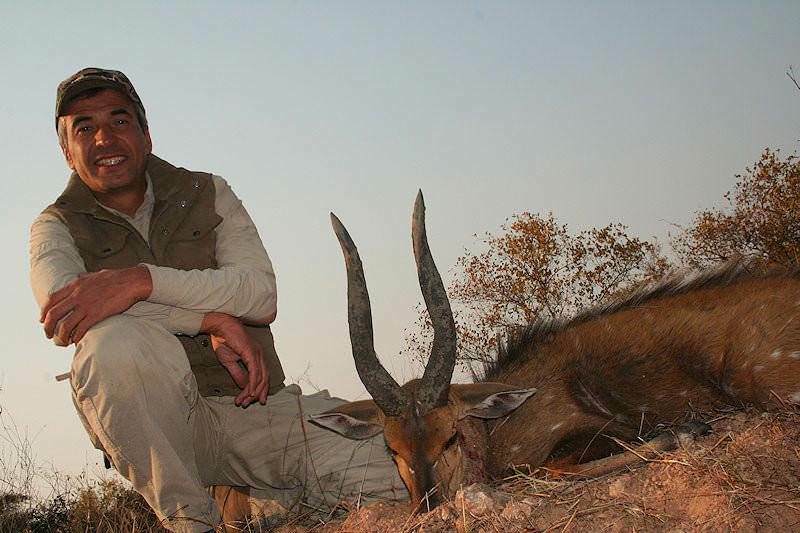 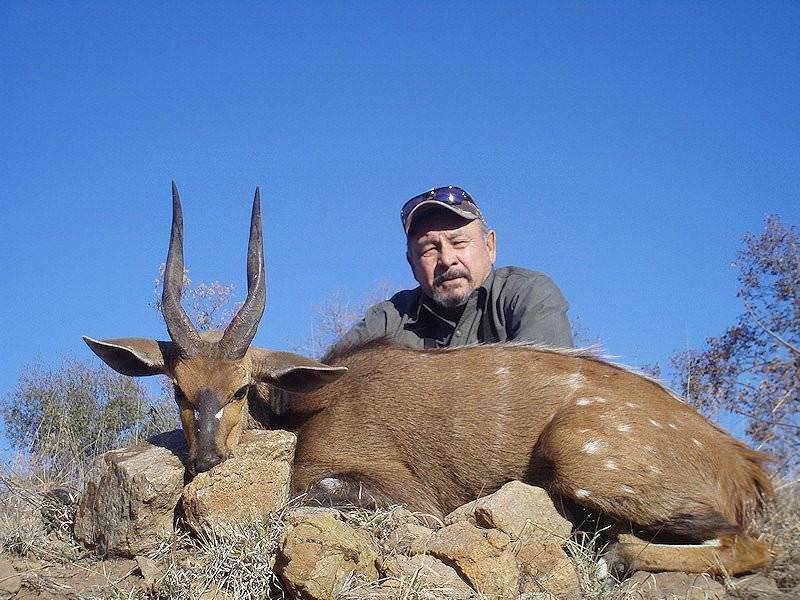 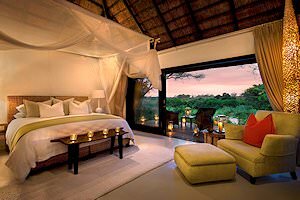 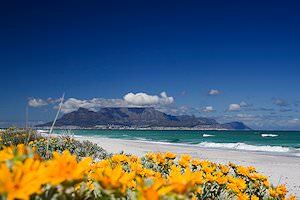 You'll hunt for the likes of bushbuck, kudu and gemsbok in the bushveld, Eastern Cape and eastern Free State.